Why buy a mass-produced mirror from the usual High Street vendors, when All Glass and Glazing can manufacture the custom mirror you’ve always dreamed of? Cut to any size and with a wide variety of styles and finishes to choose from, there’s no better way of breathing new life and light into any rooms of your home. Our experience in superior glass manufacturing and installation allows us to create genuinely outstanding results for the lowest possible price. Whether it’s sprucing up the bathroom, adding a visual enhancement to the living room or simply replacing the glass in a treasured antique-framed mirror, you can trust us to deliver the products you need at the market’s lowest prices. Every mirror we supply throughout Blackley is manufactured to order and undergoes the most extensive quality inspection process before we’ll allow it to be supplied. By manufacturing each of our products in-house, we’re able to exercise higher-level quality control to guarantee our customers genuinely flawless results every time. As a family business, we take enormous pride in treating every project as if it was our own. From the most extensive commercial orders to the simplest of domestic mirror designs, we can honestly say we put our hearts and souls into everything we do. 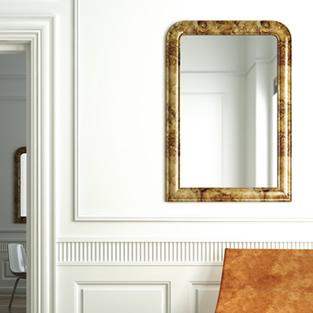 We simply guarantee you will not find a better deal on bespoke mirror design service - put us to the test and you’ll see! Having been doing what we do for so long, we’re more than willing and able to throw a little inspiration the way of our customers, if you find yourself spoilt for choice with what’s on offer. Simply let us know the specifics of the project and your ideal budget – we’ll get to work with the ideas and suggestions. We’ve built an enviable reputation over the years for always going the extra mile and consistently exceeding customer expectations. Get in touch with our service team today on 0161 427 7800 for more information, or to discuss an order.